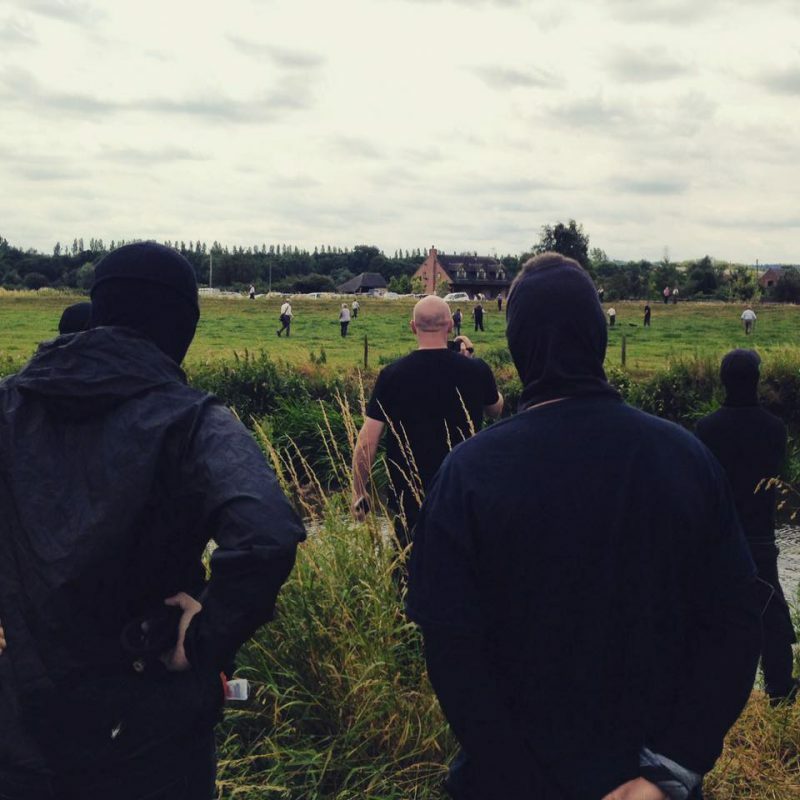 T oday we ha d a mega Summer a way day with Severn Vale Hunt Saboteurs & Beds and Bucks sabs, trekking up to south Derbyshire to back up locals who had intel that the Dove Valley Mink Hounds would be hunting in the Sudbury area, along the river Dove. Before we entered the field the hunt were being covertly monitored, filmed illegally hunting with hounds in cry and hun t staff encouraging the pack to hunt on. Foot sabs went in on the opposite side of the river and quicker than you could say ‘we’ve caught you illegally hunting,’ the hunt was thrown into complete disarray, hunters were legging it in all directions and the hound van, with hounds hastily boxed up, was speeding off down the farm track out of there. Sadly we didn’t have an official Guinness World Records timer present but we’re pretty sure this is the quickest a hu nt has ever packed up and bolted upon seeing sabs. Folk kept tabs on the movements of the hound van and supporters and we’re pretty confident they didn’t venture out again. Result!